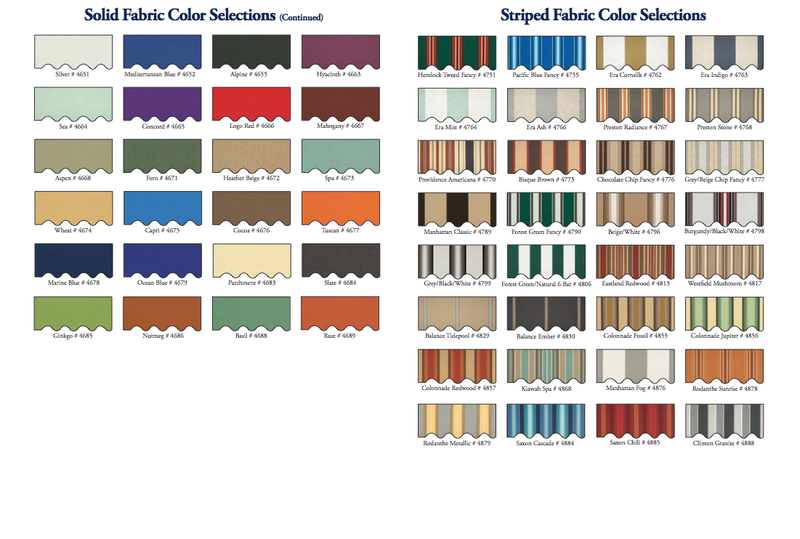 We are the original and leading awning company in Eastern Connecticut for over 50 years. We offer free quotes on all our products and installations including on site assessments. 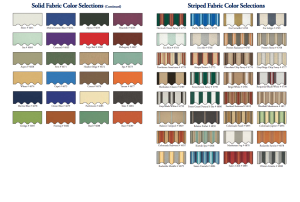 Check out our residential and commercial awnings today. 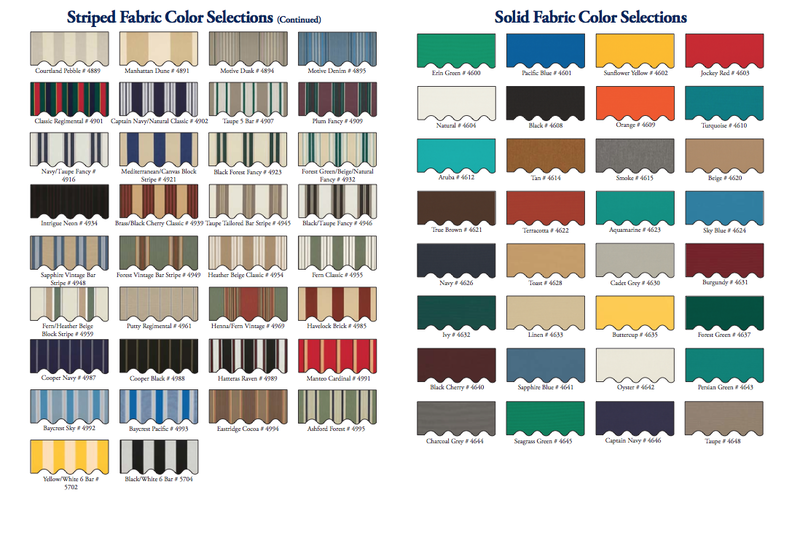 Select from one of our 75 color and pattern options! All of our fabric awnings (retractable, stationary and commercial) come with a 10 year limited warranty. 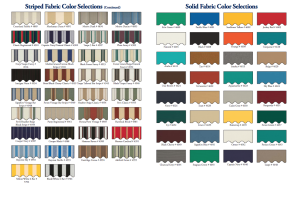 Just like our awnings, these colors will last no matter what weather or conditions they are exposed to. 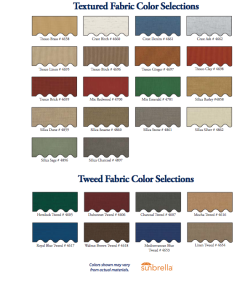 Let us know what color matches your house or siding! We also do free on site assessments so contact us today. Underside of all canopies will be in white.